Visit our specials page to find out what's on sale. Amazing Specials. These Deals Won't Last! looking for a quick and easy installation. Don’t get stuck with cheap garage floor tiles. These are quality tiles at affordable prices. 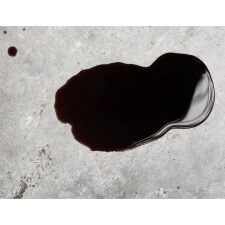 Garage Flooring, Expert Advice, Free Shipping, Samples & the Lowest Price Guaranteed! 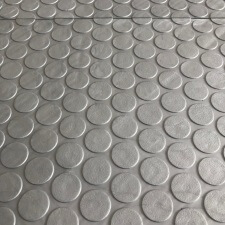 Best Selling Containment Mats. Mud. Snow. Rain. Garage Flooring LLC of Colorado has been a nationally leading distributor of flooring and storage products for years, valuing the importance of our ability to cater to the necessities of every customer. At heart, we are a business dedicated to making your ideas and objectives a reality- from our reputable service to our efficient shipment system, we strive to meet all of your garage needs. Due to our popularity, we have expanded to serve customers across the nation through our website, offering the highest quality products at the most affordable prices in the industry. Garage floor mats also referred to as “roll-out” or “seamless” flooring, are perhaps the most basic and easy to install product we offer. 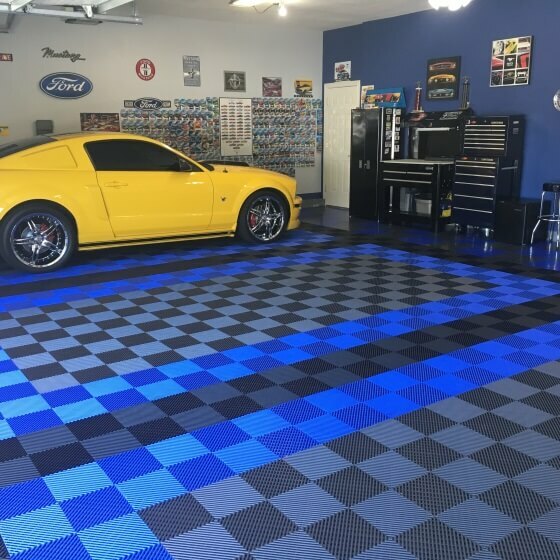 The advantage of using mats in the garage is the simplicity of the installation process: mats can be rolled out directly onto the garage floor and trimmed to fit, no chemicals or messes required. 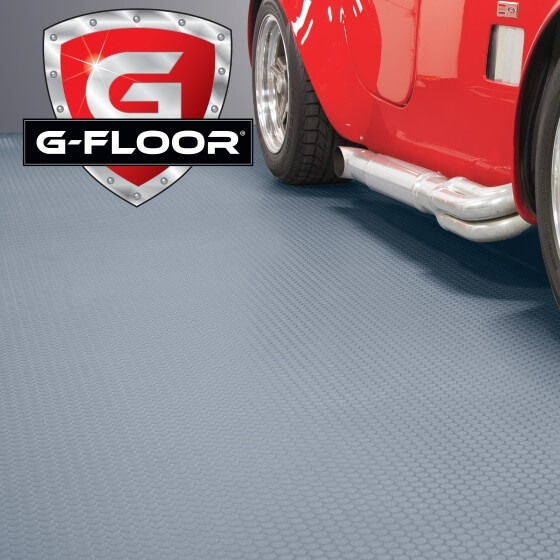 Our most popular brand of mats is G-Floor, an American Made product that has proven its reliability in the garage flooring industry over the past 15 years. 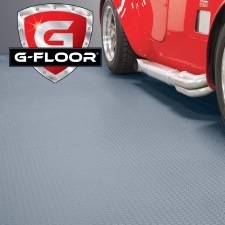 Containment mats are an alternative form of the garage flooring mat. In contrast to roll-out flooring, they do not cover the entire floor. 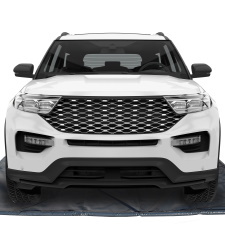 Instead, containment mats are smaller in size, designed to fit beneath the car to prevent moisture, mud, snow and more from damaging the garage floor. 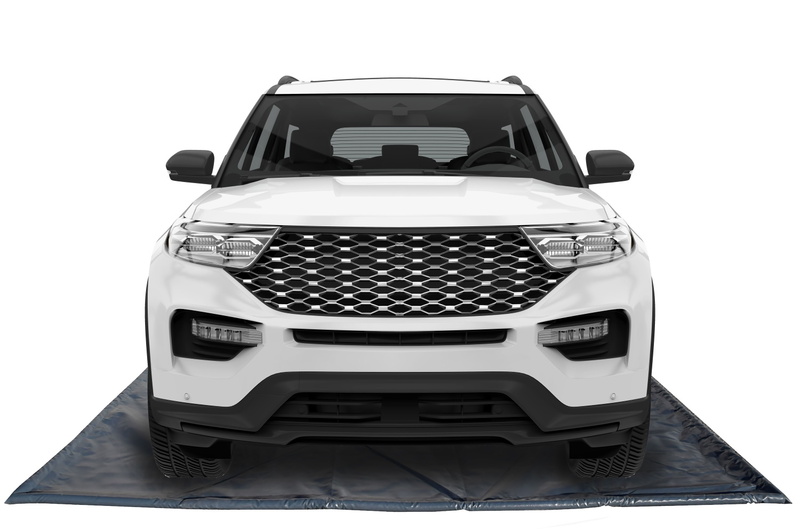 Our most popular containment mat is the TruContain® due to the easy assembly process and its reputable performance. 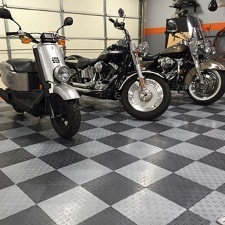 Much like our mats, garage floor tiles can be installed with little to no preparation, no chemicals, no messes, and a very brief installation period. We offer two basic types of garage tile, Rigid and Flexible, both characterized by various benefits. 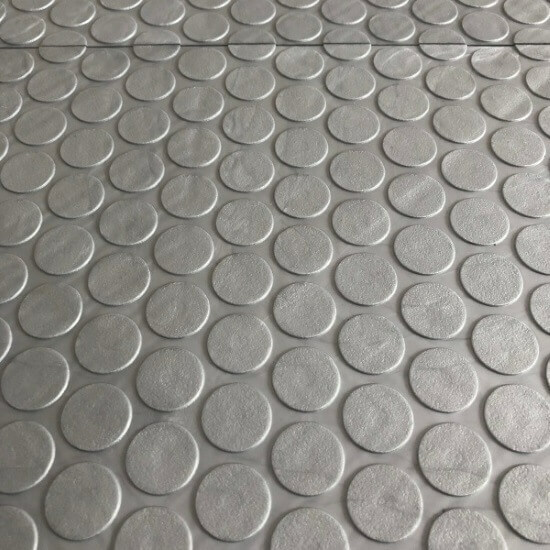 Rigid tiles are hard, interlocking tiles which are highly stain resistant while flexible tiles are composed of PVC, making for a seamless appearance and offering extra protection for the underlying concrete. 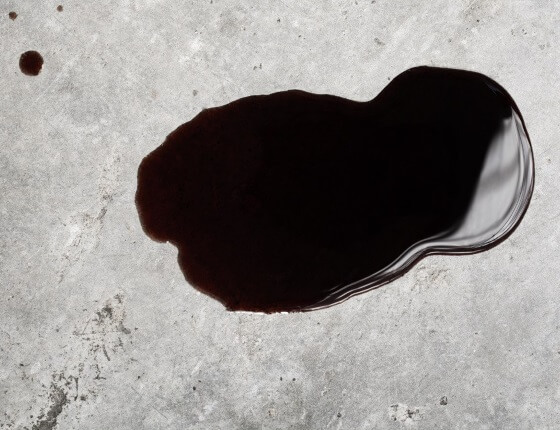 Garage floor coatings, another popular product, require more preparation and have a more complex installation process than do mats and tiles, but our team of experts is prepared to help you achieve the results you are looking for. Most coatings are applied with a roller or brush and adhere directly to the floor. Rust Bullet, a urethane-based protective coating, is considered the “base coat,” is often used in addition to either mats or tiles to further protect and seal the garage floor. All Weather Floors Polyurea is our most popular coating, its performance and durability having been proven as very reliable- but all of our coatings will provide you with a seamless, chemical resistant floor. Additionally, we offer “quality defensifiers” which require less preparation work than do coatings. Due to the tendency of Americans to utilize the garage as a storage space, the importance of proper organizational systems cannot be overstated. Thus, in addition to garage flooring products, we offer affordable, high-end storage merchandise that will declutter and improve the functionality of your garage. We carry a complete line of garage storage cabinets as well as overhead storage and wall storage products and are happy to help you find the product that best fits your needs. Our favorites are the Ulti-mate cabinets and Hyloft overhead storage system. Our quality flooring and storage products, coupled with the assistance that our staff is always willing to provide, will ensure that your garage can be made into an impressive, practical space that the whole family can enjoy. 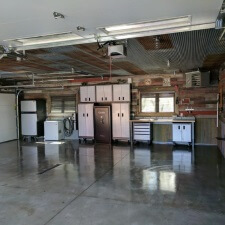 If you are struggling to come up with a vision for your garage, check out our Articles section and look for inspiration in the projects of fellow customers. Additionally, we offer a designing tool that will allow you to map and plan out your garage floor by experimenting with different types and colors of flooring in infinitely many possible patterns. 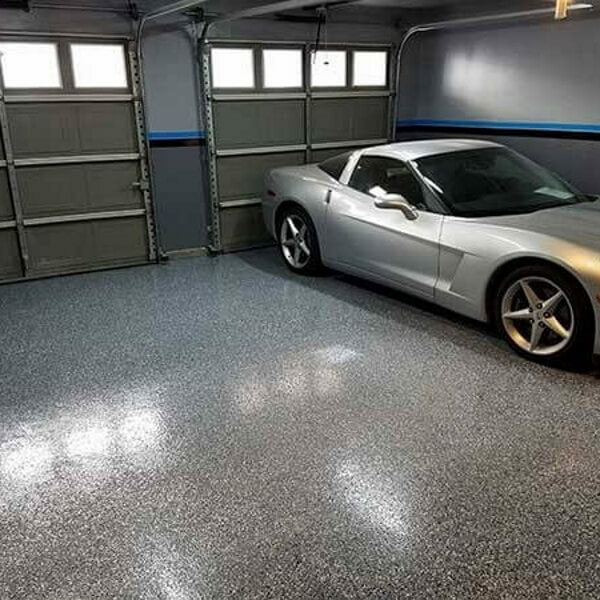 On our garage floor tile and epoxy pages, you will also find resources to help you calculate the cumulative price of the products that are required to achieve your garage needs and aspirations. If you are looking for professional recommendations, see our take on “the best of the best” here. 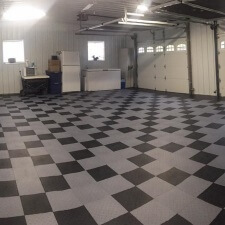 When Justin Krauss entered the Garage Flooring industry over 15 years ago, it was in its infancy; there was a limited spectrum of offered products and very little competition. Today, the industry has expanded such that products are available online and at major retailers. Despite the growth of the industry, Garage Flooring LLC has maintained our hands-on approach, our knowledgeable team of customer service associates and our ability and willingness to treat each and every garage like it is the most important project we have — because we know it is the most important project you have! If you are looking for the guaranteed lowest prices, the best customer service, the highest quality products, and people who are passionate about helping you achieve your garage needs, you have come to the right place. Don’t take our word for it, have a look at our customer reviews.